The disc is a small cartilage pad that is situated between spinal bones. The soft jelly-like center is contained by layers of fibrous tissues. Each disc serves as a connector, spacer, and shock absorber for the spine. When healthy, discs allow normal bending, turning, and overall body movement. Since spinal discs have a very poor blood supply, they depend upon the circulation of joint fluids to bring nutrients and expel waste. If a spinal joint loses its normal motion and this pumping action is impaired, the health of the disc deteriorates. Like a wet sponge, a healthy disc is flexible. A dry sponge is hard, stiff, and can crack easily. This is how many disc problems begin. Because of the way each disc is attached to the vertebra above and below it, a disc cannot slip as commonly thought. 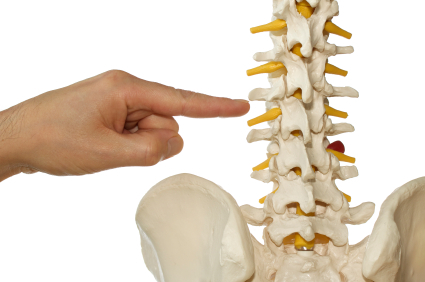 However, trauma or injury to the spine can cause discs to bulge, herniate, or worse, rupture. This can be quite painful, putting pressure on the spinal cord and nerve roots, interfering with their function.